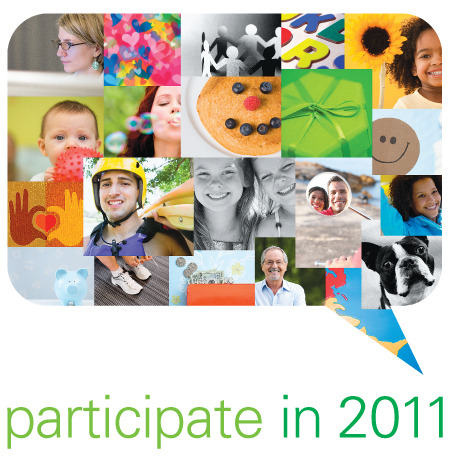 Participate in 2011 was the message conveyed in this year’s Annual Enrollment Campaign for BP. Participate in life, Participate in health, just participate! We visualized this by striking the perfect balance of images and words: A variety of people/symbols merge together to form a delightful community. The powerful chat bubble graphic encompasses a community that is encouraged to take responsibility – to do your part – to participate! This entry was posted on June 29, 2011 at 10:00 pm and is filed under Employee Communications, graphic design, Uncategorized. You can follow any responses to this entry through the RSS 2.0 feed. You can leave a response, or trackback from your own site.